So pray! Like Moses, who was above all a man of God, a man of prayer. We see him today in the battle against Amalek, standing atop the hill with his arms raised. From time to time, however, his arms would grow weary and fall, and then the tide would turn against the people. So Aaron and Hur made Moses sit on a stone and they held up his arms, until the final victory was won. This is the kind of spiritual life the Church asks of us: not to win by war, but to win with peace! There is an important message in this story of Moses: commitment to prayer demands that we support one another. Weariness is inevitable. Sometimes we simply cannot go on, yet, with the support of our brothers and sisters, our prayer can persevere until the Lord completes his work. below her gums. She went to the dentist for medications but it were of no effect, which referred her to the Maxillofacial specialist who seeing the appearance of the wounds and that every day it's getting worse, referred her to the Hospital Universitario de la Princesa to urgently conduct a biopsy in which the result founds out that she has a Plasmablastic lymphoma (PBL) is an aggressive subtype of non-Hodgkin’s lymphoma (NHL), which frequently arises in the oral cavity of human immunodeficiency virus (HIV) infected patients. The doctor who attended her, told her that she had to put her immediately in a very aggressive chemo, because it was a very aggressive cancer and that he didn't know if she could bear it because she was very thin and weak. Article published in the magazine El Granito de Arena June 2016. 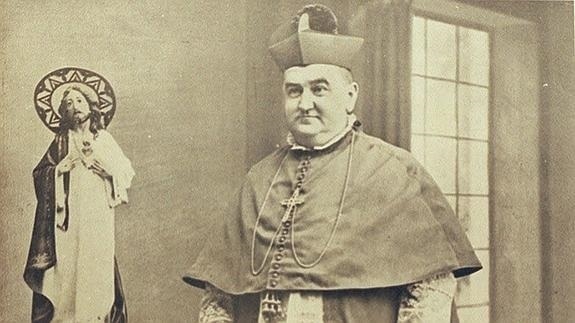 "I was fascinated by the figure of Blessed Manuel"
On March 1 a commission of cardinals and bishops met to study, among others, an alleged miracle attributed to the intercession of Blessed Manuel Gonzalez Garcia. 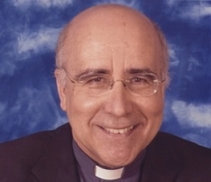 Cardinal Mauro Piacenza was interviewed, who was the rapporteur [of the Cause]. 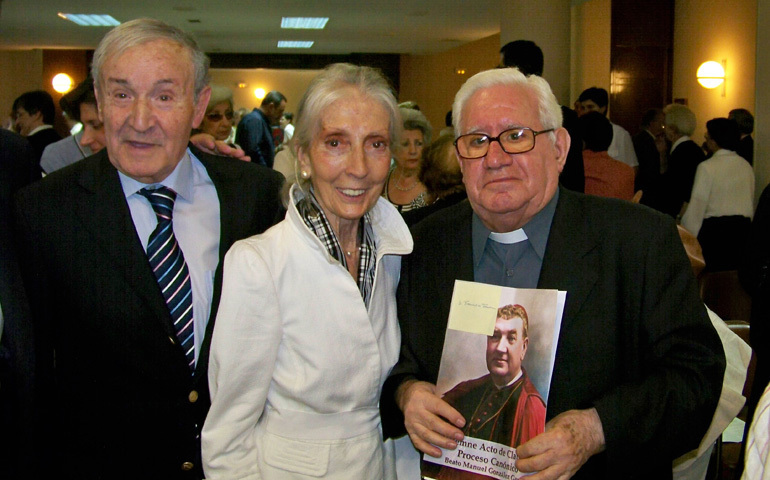 Letter for the announcement of the date of canonization of Blessed Manuel Gonzalez. With great joy we welcome the news, released this morning by the Holy Father in the Consistory Hall of the Apostolic Palace, where he chaired the third hour and Ordinary Public Consistory for the Canonization of five Blesseds, among which is Blessed Manuel González García. 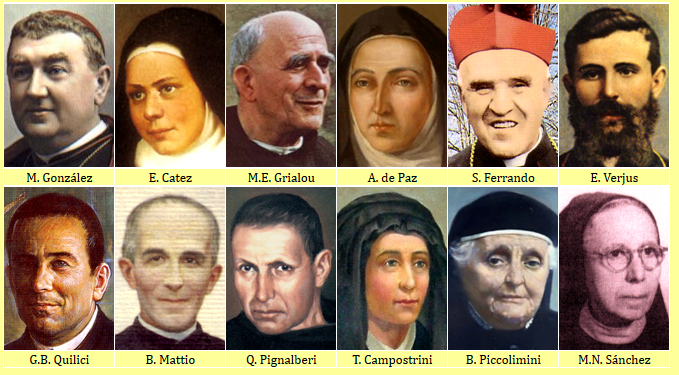 VATICAN CITY — Pope Francis will canonize five new saints this October, including the French Carmelite mystic, Elizabeth of the Trinity; the “Bishop of the Tabernacle”; and a Roman Catholic Brother martyred during the French Revolution for refusing to swear allegiance to the new government, the Vatican announced on Monday. — Salomone Leclercq (born: Guillaume-Nicolas-Louis Leclercq), a member of the Brothers of the Christian Schools, was martyred during the French Revolution. Leclercq was killed in 1792 after he refused to take the oath of allegiance to the new French government almost two weeks before the kingdom was dissolved. He was killed in the garden of a Carmelite convent (which had been turned into a prison) around a fortnight after he had been arrested and imprisoned in Paris. — Lodovico Pavoni was a Roman Catholic priest from the northern Italian city of Brescia, located in the region of Lombardy. In 1825 he founded the Congregation of the Sons of Mary Immaculate, a congregation dedicated to forming and educating young men, which later expanded to serve the deaf and blind. — Alfonso Maria Fusco (March 23, 1839 – February 6, 1910) was an Italian priest and founder of the Sisters of Saint John the Baptist. The new congregation’s mission was to evangelize, educate, and promote the Catholic Faith among adolescents, especially the poor or abandoned. Blessed Alfonso’s birth has been attributed, in part, to the intercession of St. Alphonsus de Ligouri. After his parents married, they visited the tomb of the saint. A Redemptorist priest assured them at the time: “You will have a son; you will name him Alfonso; he will become a priest and will live the life of Blessed Alphonsus.” Two months after the birth of Alfonso (the first of the couple’s five children), Alphonsus de Ligouri was canonized. 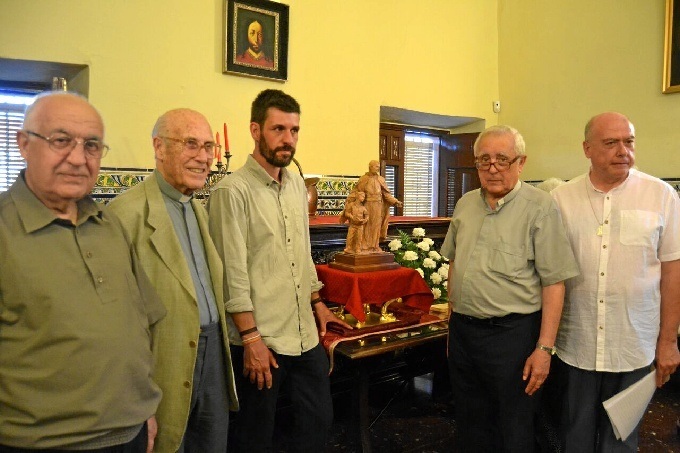 Work of the Palmerino sculptor Martin Lagares, the image will be installed in the interior of the Church where he founded the Obra para los Sagrarios-Calvarios. The ceremony took place on Sunday, June 16, in conjunction with the centennial of the city and the Sacred Heart of Jesus, in the month dedicated to his devotion. The Image of Blessed Manuel, and his bone relic was enthroned during the celebration. The Familia Eucarística Reparadora (MEN MESN, uner, and JER) traveled from Santa Fe in a minibus, with all the enthusiasm to bring the charism of our Founder. The church, freshly painted, looked very beautiful, decorated with delicate and beautiful flowers, according to this important celebration.